Car wash owners have now come up with a new marketing strategy to drive business growth. SMS marketing is increasingly popular in modern culture and now car washes are also making use of this service. It was perhaps only a matter of time before we saw businesses incorporate text message marketing into their plans. The benefits of using this service are such that not making use of it would be foolish. Let’s take a detailed look at how car washes are using text message marketing services to good effect. In order to bring in customers car wash services offer full service specials. These are offered at lower prices than usual and the aim is to get more customers to come in. Previously, there was no instant way of informing customers about new deals and offers. But with SMS marketing, car washes are reaching out to customers and keeping them updated. These deals can be used on slow business days when you are expecting a lower turnout of vehicles at your service center. These are the sort of deals that really force the customer to come in and get their cars cleaned. Experts believe that it is a brilliant SMS marketing strategy. Basically mobile coupons are used to give customers discount on a particular day. For example: a 15% discount on wax cleaning and polishing. The customer would have to show the message at the service center to avail the discount. Even if the customer isn’t thinking of visiting your outlet they will still be forced to do so, considering the tempting offer. Lastly, car washes are using text message marketing to send reminders out to customers. These reminders offer words of encouragement to customers and tempt them to re visit the service center. 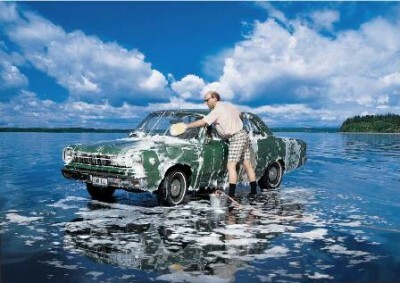 An example could be: ‘When did you last have your car cleaned? Visit us today and get the best car wash in town.’ Furthermore, these services can also be used to make special announcements regarding any changes you make to the service center. You could also update customers about weather conditions and ask them to bring their car in during rainy season or snow. Text message marketing is a great tool for small businesses such as a car wash. It can give them the edge in a tight market and boost sales. In the future, it is possible that we might see even more innovative measures taken by car washes to market their services.